Yesterday was Seth’s 5th birthday. 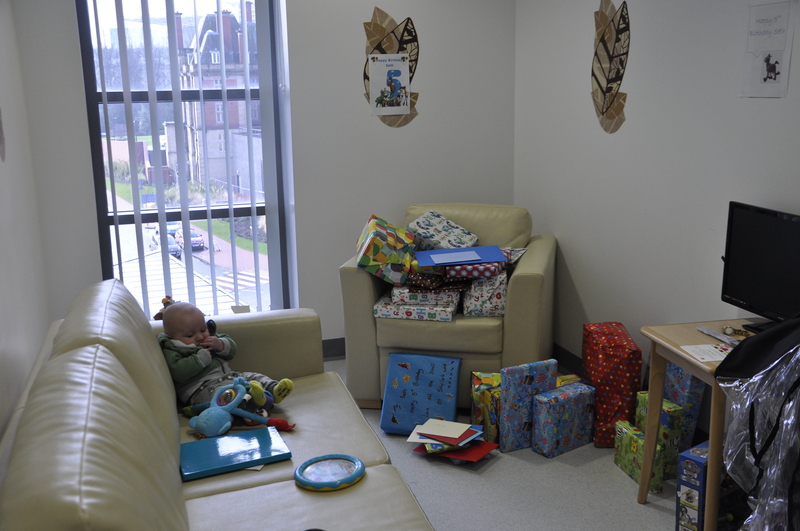 He is in the Great North Children’s hospital in isolation. 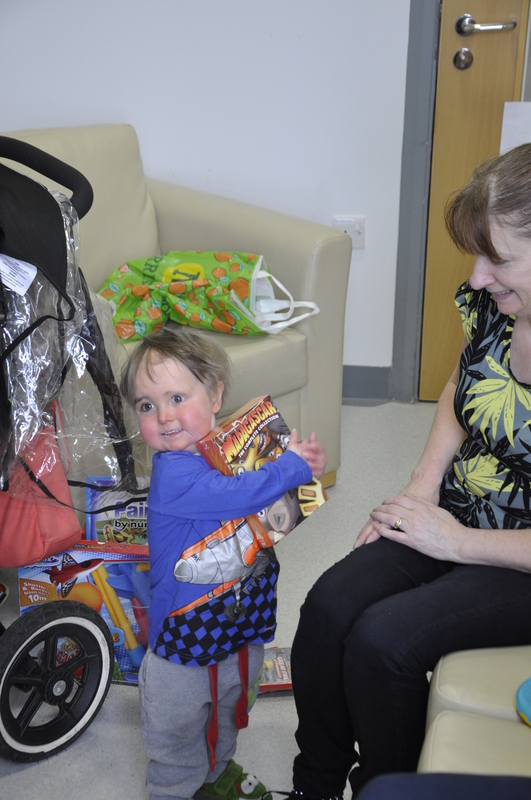 So at best he was allowed into a room on the ward to be with his dad, baby brother, grandma and me to have a little birthday celebration. I had ordered a cake for his birthday party (which he now won’t be having) so brought it with me along with ALL his gifts from family and friends. Decoration by the play team in the hospital. 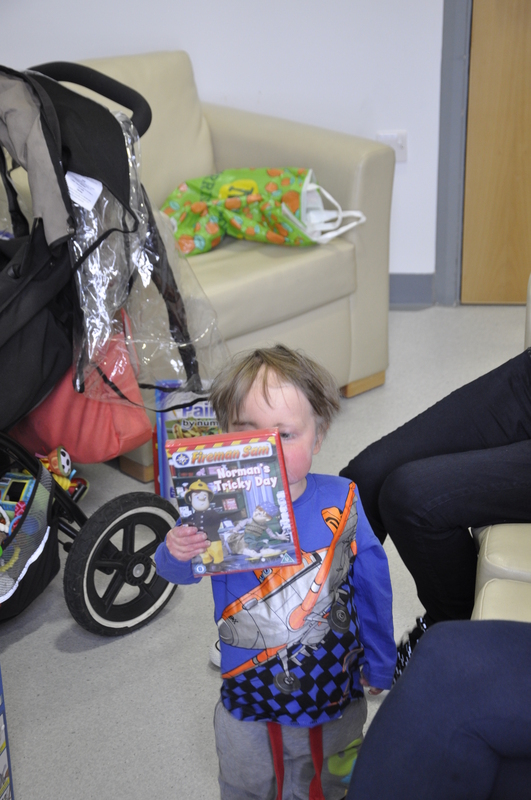 A fireman sam DVD – one that he actually doesn’t have! Caaake! 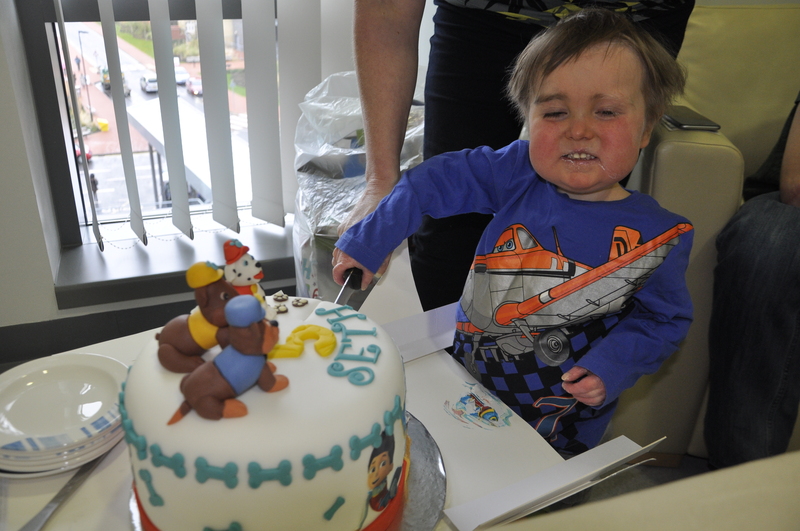 The thing he was most excited about for his party – Paw Patrol Cake….even though he doesn’t like cake! Dressed in his finest mis-matching joggers and t-shirt with toothpaste round his mouth, Seth managed to open his gifts, cut his cake, and identify that he had indeed received “loads” (how people found so many things this child doesn’t already have I don’t know! 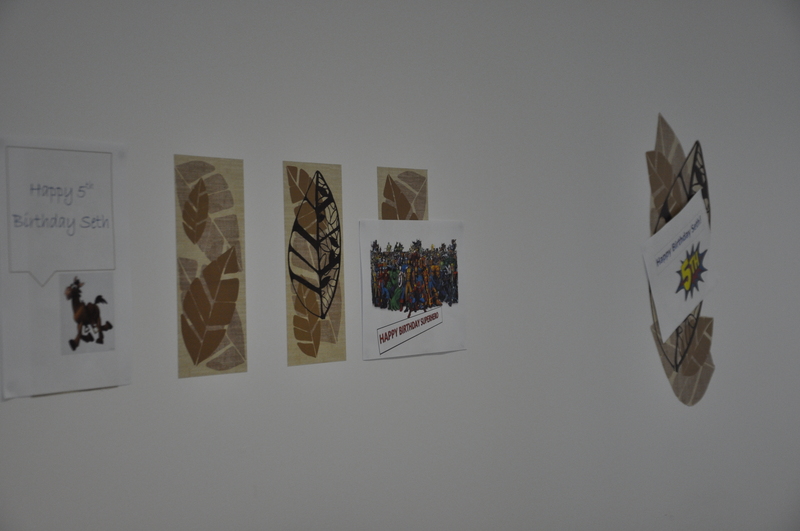 ), before he began to go a little quiet and tired. He asked to go back to his room. This instantly made me concerned and not long after he spiked a temperature of 38.3 and spent the rest of the day in bed. His respiratory rate, blood pressure and heart rate where very high which is consistent with a high temperature. Despite burning up Seth was complaining of feeling cold. The birthday was over (for now). Staff were in and out of his room most of the day and it was noted that the infection in his lungs may be fungal infection – which is very hard to treat in someone who is neutrophenic (no white cells, therefore no ability to fight infection). So they began antibiotics to treat this whilst they awaited the results of a BAL (Bronchoalveolar lavage) from Friday last week. 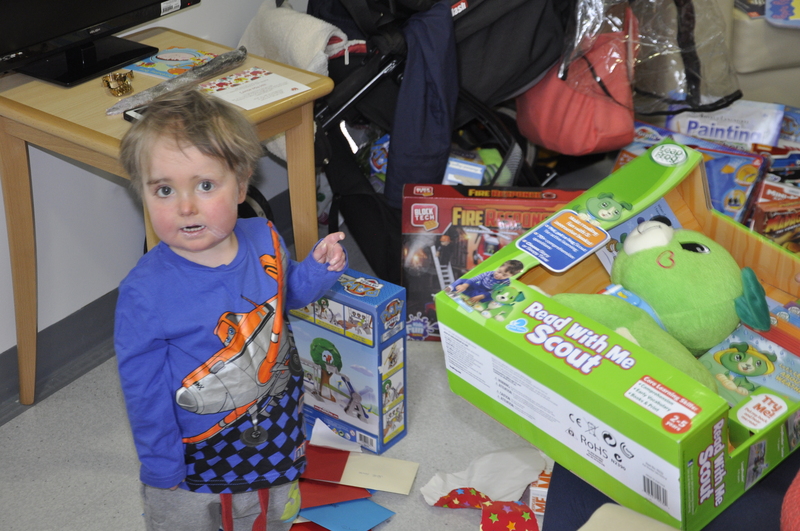 Seth made efforts to play with some of his presents and watch a DVD, but he was feeling so poorly he didn’t manage much. The doctor was concerned about his presentation and suggested that if his oxygen level began to drop they would need to consult the intensive care unit for early intervention. Luckily his oxygen level was the only thing that stayed good. Although him going into the room to open his presents did not trigger his temperature, we decided that we will no longer bring him out of his room. It is too dangerous. 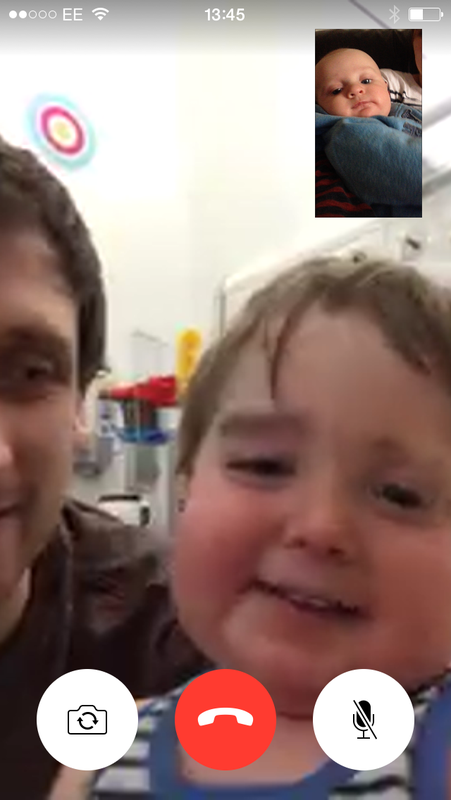 The ward staff agreed and Seth is now in total isolation. This means that only Nik, me and one other named person are allowed in his room and we have to wear a gown to cover our clothes at all times. We have to check our temperature and if it is increased we are not allowed contact with Seth. What is going to be hardest for Seth though is no contact at all with his baby brother. Seth’s always asks to see Hugo before anyone else when he comes in from school. Now they have chats and conspire via FaceTime. 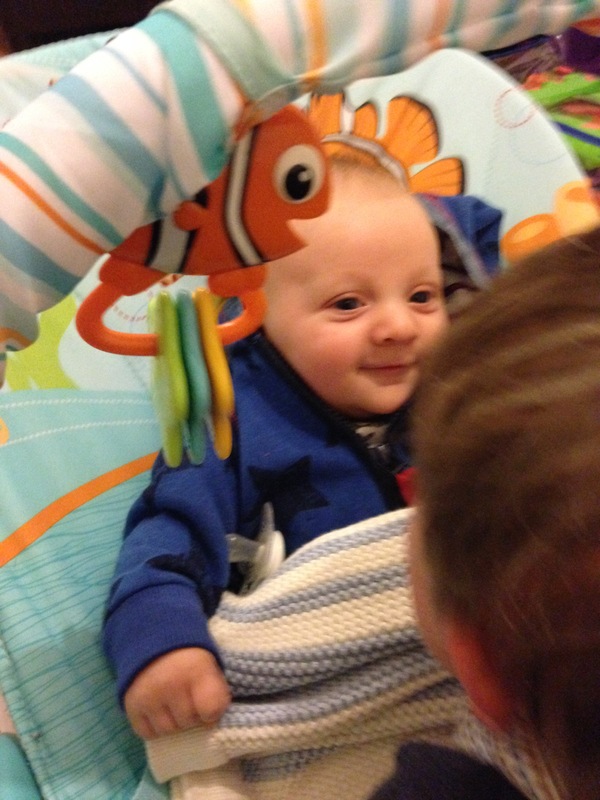 The next day (17/02/14) – Seth had improved a lot. His temperature had come down and appeared to be consistently staying down. He was also much more himself, still quiet, but he managed to play today and eat a bit of food (which is good as he has gone from 11.5kg to 11.2kg in less than a week). So the next 8 weeks couldn’t be more crucial. with you permission i would like to ask my school if we can have a day to help raise money for him. such a lovely boy you have. Never could figure out why bad things happen to good people, but they just do, I guess. I sincerely hope he can get another transplant and it works. I’ll be sharing Seth’s story with many people and we will wear yellow for him. We will also be praying that God will help Seth get healthy for a second bone marrow transplant, and also that Seth’s body will not have any problem accepting the new marrow. God bless yall!!! What an awesome kid, best wishes Seth. Godspeed.. Happy 5th Birthday Seth! I’m glad you got to spend some of it with your family all there. Seth, a little late, just started following your story, what can I say that you haven´t heard, you´re just an awesome and brave boy. I wish the best for you and your family. Plus, you´re so blessed, your mommy it´s a real warrior. I know this is the 5th of more coming years.